The letters home in my second term make clear how I so rapidly absorbed, and was absorbed by, Oxford. But I have also included references to some changes at home, because they indicate the shifts in perspective on someone both deeply sentimental about the past and understanding the need to move on. These start with reflections on the death of my great aunt Ida, elder sister of my grandmother. I had left out my feelings on the death of her brother Leo, which I had heard about while in Denmark the previous August, but this coming so soon marked a decisive break with my childhood. Alone of my family I had spent many happy holidays at the Old Place, the house in Kurunegala where these two stayed, while my grandmother herself had moved to Colombo and its very different perspectives. I should note though that my assumption that the place would be sold was wrong, and Leo’s daughter Lakshmi stayed on there on her own till the late eighties. I was thus able to spend many happy days there even after I came home from Oxford. Aruna Gooneratne, a great friend in those days, was daughter of our High Commissioner in London, Tilak who with his wife Pam proved most hospitable over the years. As a footnote, the Russian grandmaster I mention here was Karpov, who soon enough became world champion. My contemporary who defeated him was a chap called Nick Lloyd, who also played bridge brilliantly. But he suffered from depression and commited suicide subsequently. A new craze seems to have struck Oxford and everyone goes running at all times of day in the freezing cold, and night too – needless to say, I shall never succumb to the infection – in fact due to a constitutional inability to run, I’m reducing the number of lectures to manageable proportions – 6 from next week, including 3 with 1 rather interesting character – doing Juvenal, if you know what that means. If not, you’re missing a lot and there’s a translation in my library which is at your disposal. In June 1971 I set off for Oxford via India (to do my A/Levels) and Europe. Exit permits were needed to leave Ceylon after the April 1971 Youth Insurgency and, having obtained one, it was thought that asking for a second would be an unnecessary risk. Apart from my age, I had had a radio play banned on suspicion that it was political. 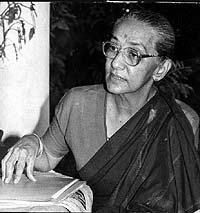 It was not, being based on the Greek story of Electra, but it was assumed that I had intended to cast aspersions on the Bandaranaikes. I had my first paper today, Ancient History 1, which I dreaded most of all, and it was quite nice, though I had to con my way through a fourth question. Half a life ago I got to know Ena de Silva well. Having heard about my adventures at S.Thomas’, she decided that there was another unorthodox person in the family, and invited me to stay with her at Aluwihare. This was her ancestral village, to which she had retired at the end of 1981. It was eighteen months later, in May 1983, that I made the first of what were to be frequent visits there over the next 29 years, half of my life. Ena was not an especially close relation. Her mother Lucille was a Moonemalle, whose father’s sister was the mother of my maternal grandmother, Esme Goonewardene. But the two cousins, both born in the last year of the 19th century, remained close, perhaps because they both married Civil Servants who were senior administrators in the last years of British rule.